The end of the summer is near. I hope that you all enjoyed your vacations if you had some. Thanks Jessica Cam Wong for this article ! It took me a full day of work for this huge update. I'm adding 32 new linux distributions for an impressive total of 360 different distributions supported !! 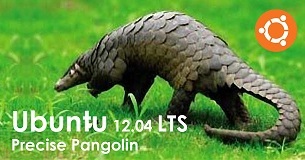 Among which, the long awaited Ubuntu 12.04 "Precise Pangolin" Long Term Support, latest Linux Mint Debian and a lot of new ones. With this new release of Ubuntu, LinuxLive USB website traffic has increased by almost 50%. Thank you for that. Woah ! This one took me quite some time to release. Did you know that Distrowatch is counting more than 700 different Linux distributions ? That means a never-ending job to update LiLi.